ABC’s new show Nashville tells the story of an aging country singer who has to navigate a record company that’s lost its faith in her, a new album that won’t sell and an up-and-coming starlet who is trying to steal her fire - and her band. 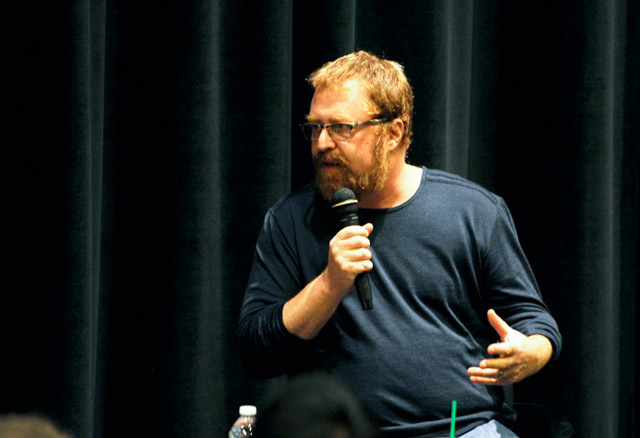 In Professor Howard Rosenberg’s Television Symposium class on October 1st, executive producer/director and School of Cinematic Arts alum R.J. Cutler visited with students and told them that, although Nashville is set in a glitzy world, the key to making it work was to keep it authentic. Professor Rosenberg’s Television Symposium class is a survey course for SCA students interested in working in television production. In the lecture before the Q and A, Rosenberg discussed the importance of music in television and screened the pilot of Cop Rock, clips from Treme and the pilot of Nashville. Before Nashville Cutler was best know as a documentarian and producer of reality TV. His credits include The September Issue, 30 Days, The War Room and many others.